The Clinton Avenue Baptist Church started out as the Pilgrim Baptist Church, changed its name and location to the Sherman Avenue Baptist Church before changing location and name again in 1897. 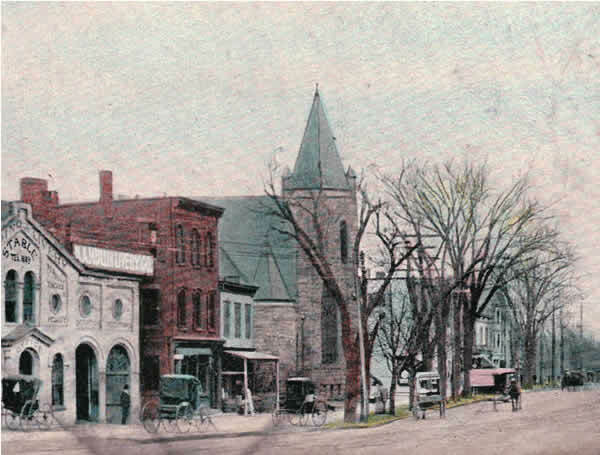 Merged with the First Baptist Church of Irvington in the 1940's. Gives relief to its own destitute members and leaves the matter of giving relief to non-members to the discretion of the deacons. Missionary work is done only through missionary organizations, none direct. The church is available for any purpose for which the religious community may need it. Records of Baptisms, Marriages, Members, and Deaths, 10 vols. from about 1868 - Records in possession of Church Clerk.